The government of Canada introduced a new immigration system to choose the skilled workers under Federal Economic programs known as the Canada Express Entry. Interested candidates can submit their profile in the express entry pool and the best profile is selected by the government of Canada or by the Canadian employers and they are invited to apply for the Canadian permanent residence. As a part of this pool, the government issues invitations each year at regular intervals. What is Canada Express Entry Draw? This draw is for the selecting the skilled workers those who are wishing to migrate to Canada. This is an electronic process involving the provincial governments, the federal government, and Canadian employers. 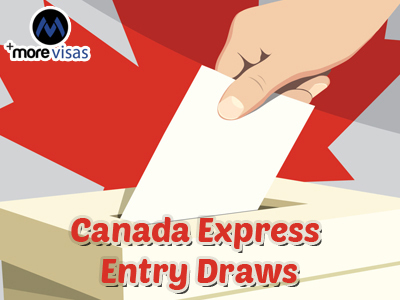 This Canada Express Entry Draw will work in a very effective way and this system conducts draws at regular intervals, each year. This process not only improves the chances of moving to the country but also raised the number of skilled migrants into Canada. By highlighting their experience and skills, the candidates can improve their chances of getting selected in the pool. The following table shows the number of invitations that were issued during the year 2015, by the government of Canada. Factors that relate to any job offer of the arranged employment or a provincial nomination. A total of 1,200 points is available under this comprehensive Ranking system. The Canadian government selects candidates based on their ranking. So in order to improve his/her ranking or to get selected in the pool, the candidates must strive to improve their skills and interest towards their field of interest. Once they get selected in this pool they will receive an invitation to apply for permanent residence (PR). Each year the selected candidates are sent invitations. If you are interested on Express Entry, fill out our Enquiry Form, so we will approach you to assist. And for more immigration updates follow us at Facebook, Google+ and LinkedIn.